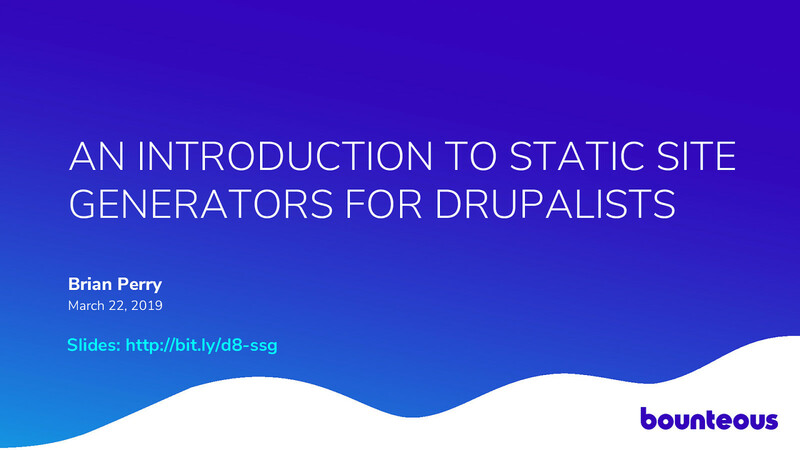 View An Introduction to Static Site Generators for Drupalists on Notist. Approaches to triggering automatic builds based on content updates. Brian puts presentations on for free. You can too. Markdown processing support for Drupal body fields. Big hat tip for the live tweets sir! Thanks! It was a good session.... now I feel like I know more about those tools!